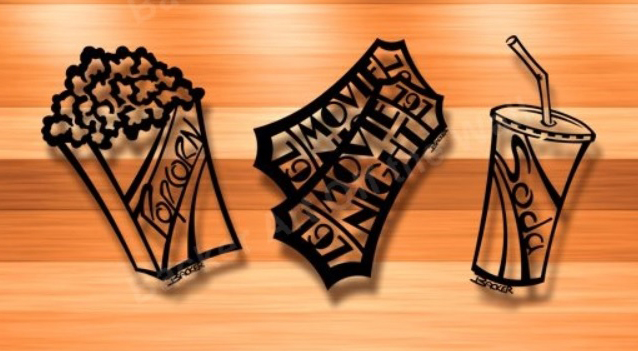 Our MOST POPULAR laser-cut, black powder-coated, steel wall decor will look great grouped side-by-side, or individually on your theatre and entrance walls! Stand-off wall hangers create a silhouette shadow behind each sculpture. 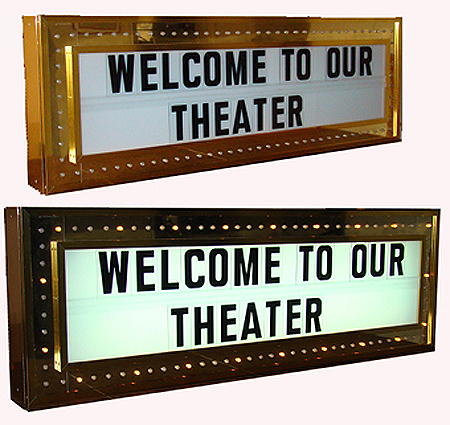 The laser-cut, black powder-coated, sheet metal wall decor will look great on your theatre and entranceway walls! Stand-off wall hangers create a silhouette shadow behind the sculpture. 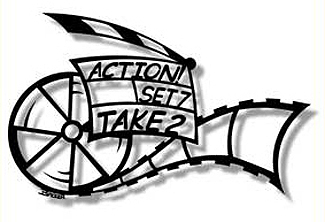 The black powder-coated, laser-cut sheet metal wall decor will look great on your theatre and entranceway walls! 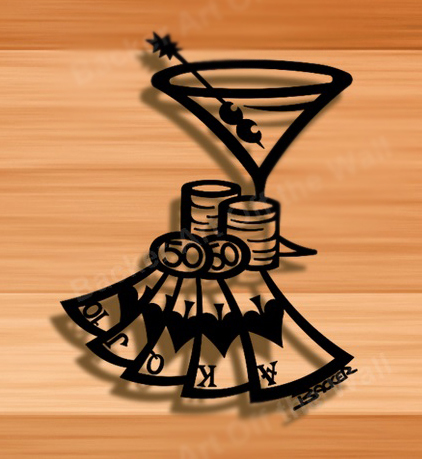 The black powder-coated, laser-cut steel wall decor will look great in the game room or bar, wherever Card Players gather! 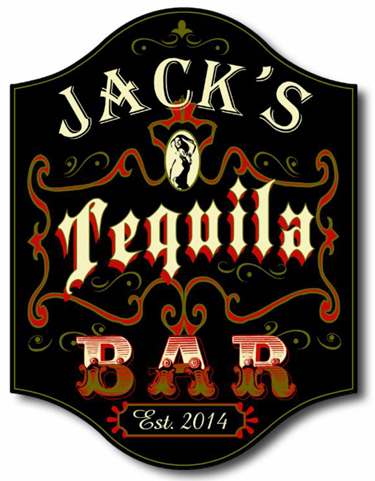 The black powder-coated, laser-cut sheet metal decor will look great on your theatre and concession area walls! 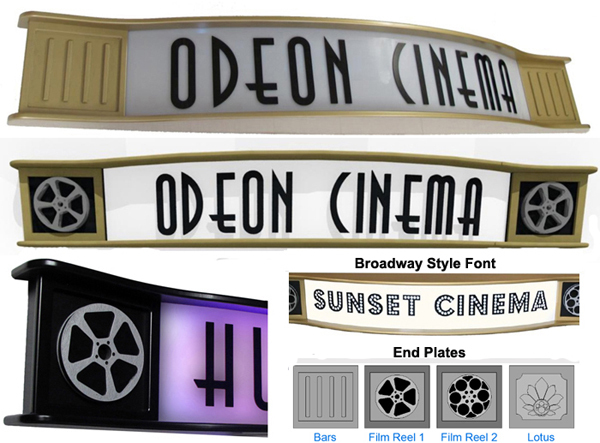 Precision Laser-Cut Steel Theatrical Wall Decor for Your Home Theatre or Media Room. 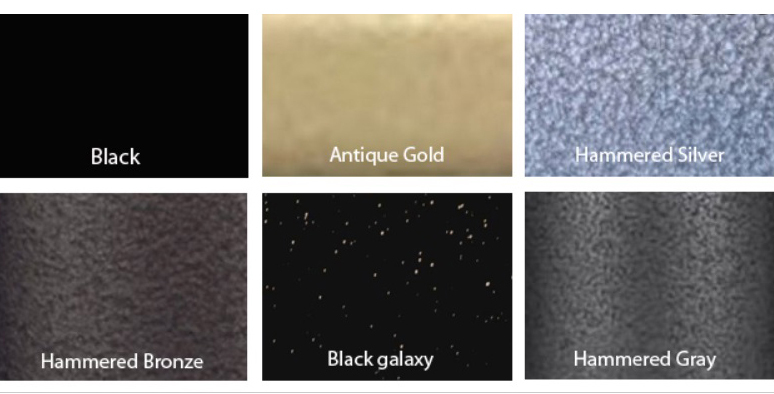 Your Choice of SIX Theatrical Designs in a Gloss Black Finish. 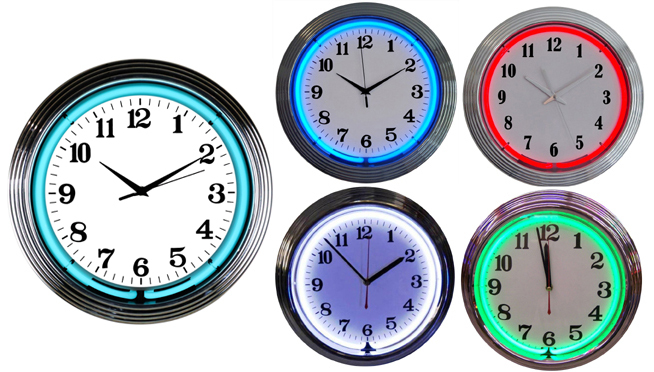 Each Design Measures Approximately 15 in. x 18 in. Order the Charcoal Star Print unframed, or we will have it Professionally Framed for you in your choice of a Silver or Black Wood Frame. 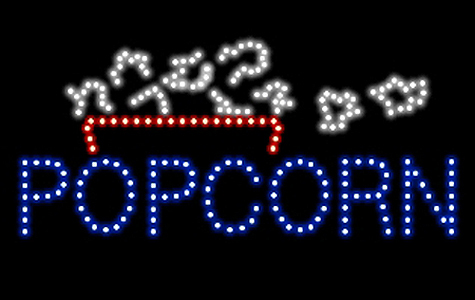 Our NEW LED THEATER Sign Has an Animated Motion Feature. BIG 26 in. Wide x 11 in. High. 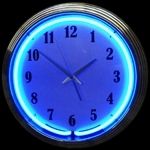 View a video of all our Animated LED Signs. 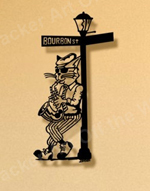 The black powder-coated, laser-cut steel wall decor will look great on your Game Room, Theatre, Bar, or Music Room wall! Our Bourbon Street Cat is cut from a single piece of steel. Our NEW LED BILLIARDS Sign Has an Animated Motion Feature. Our NEW LED GAMEROOM Sign Has an Animated Motion Feature. REAR-ILLUMINATED THREE LINE GRAND MARQUEE WITH 86 PERIMETER 1-INCH DIAMETER CHASE LIGHT BULBS. 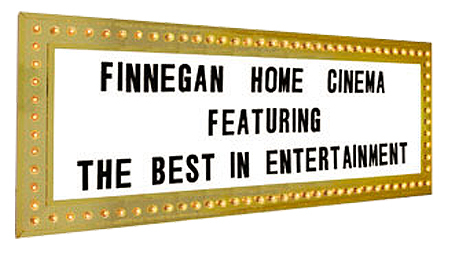 PUT YOUR NAME IN LIGHTS WITH THE SPECIALTY PREMIERE GRAND THREE-LINE MARQUEE! Authentic, 15 inch diameter 35mm Film Reels refinished in Luxurious Gloss Black. Ready to hang on your theatre walls. These are the same Movie Reels once used in Theatres! A true Hollywood decorating touch for your home theatre. 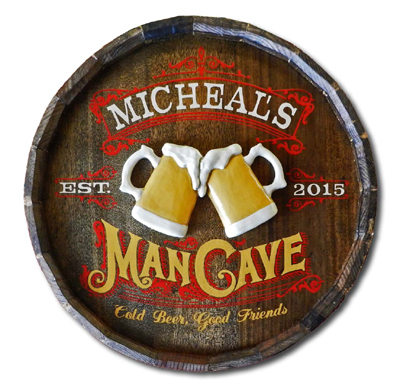 The black powder-coated, laser-cut steel wall decor will look great on your Game Room, Bar, or Man Cave wall! 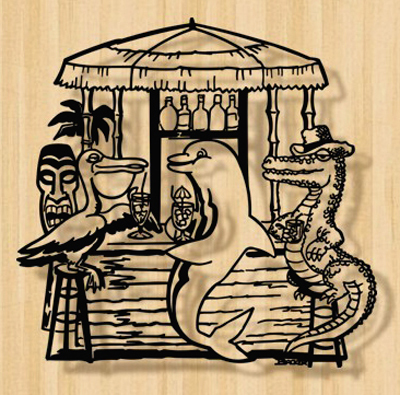 Cut from a Single Piece of Steel, Our Tiki Bar Metal Wall Decor is surrounded by a Pelican, Dolphin and Gator knocking down some Tropical Beverages while basking in the sun. 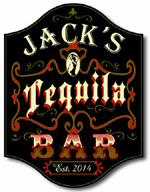 The Tiki Bar Wall Decor is cut from steel with a protective powder coated black finish.